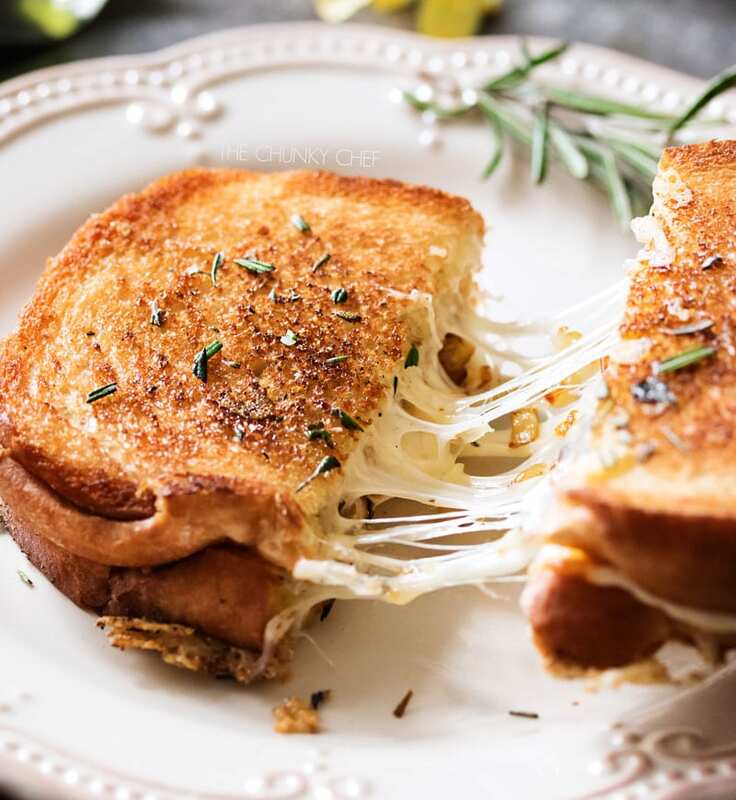 This gourmet grilled cheese is loaded with herbed caramelized onions, gooey Gruyere and white cheddar cheeses, and is cooked in a savory rosemary butter! 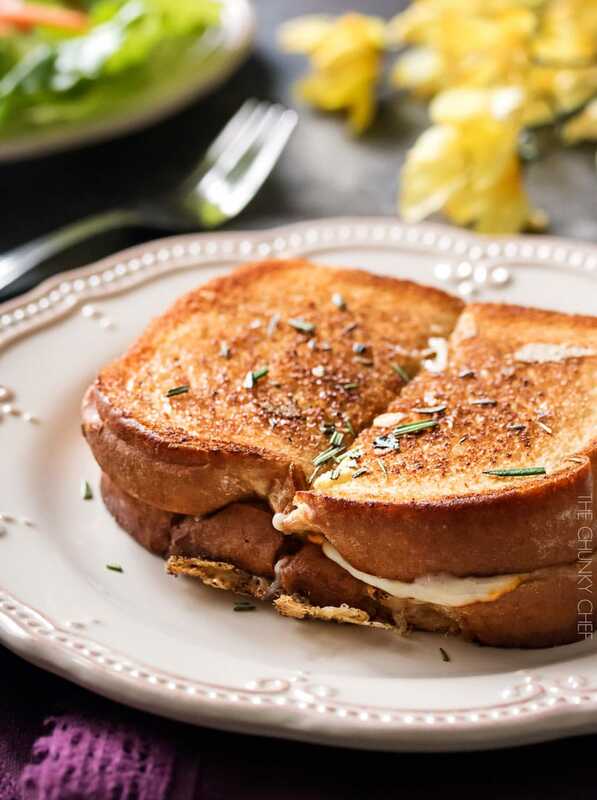 One bite of this ultra savory and gourmet grilled cheese, and you’ll never want a regular grilled cheese again! 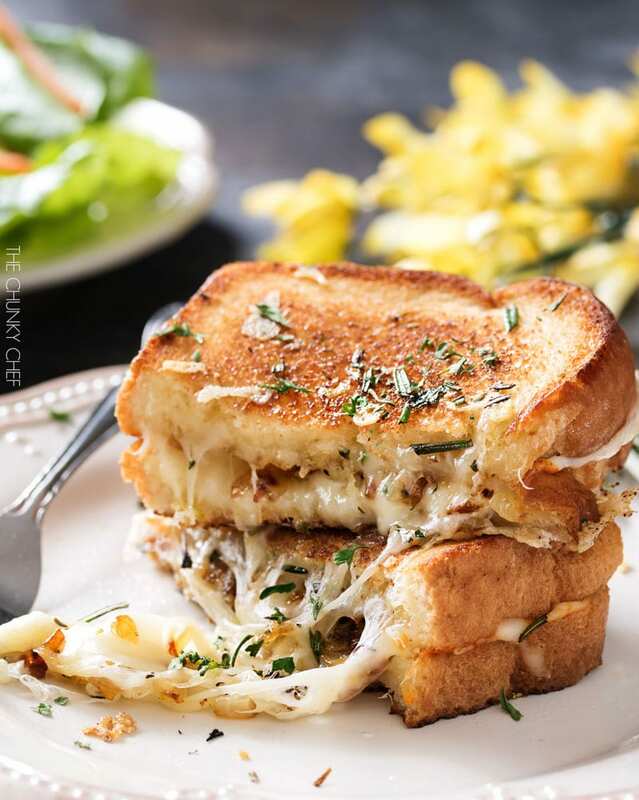 The crispy bread, cooked in rosemary butter, surrounds the gooey cheeses and an inside layer of sweet herbed caramelized onion… sheer comfort food perfection! 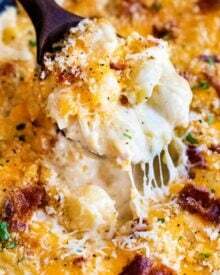 I’ve been wanting to get this recipe on the blog for a while now… but every single time I would make it… ummmm, let’s just say it wasn’t able to be photographed, since it was in my mouth lol. But I FINALLY got it! Let me just tell you, this is quite possibly the best sandwich I’ve ever made. 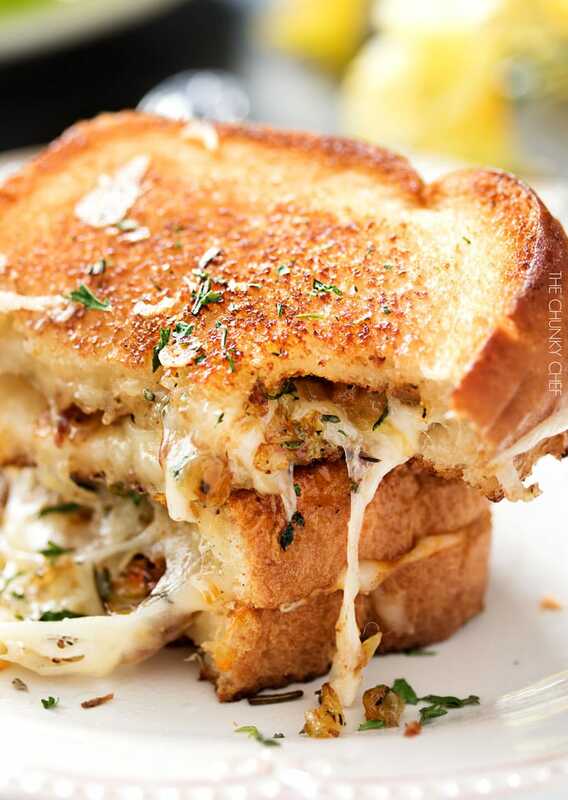 There’s nothing more satisfying and comforting than a crunchy, gooey, melty grilled cheese! I have a weird thing about yellow cheeses, so I chose my absolute favorite, Gruyere. Of course I had to add some extra cheeses, so I also went with a bit of white cheddar and one thin slice of Muenster 🙂 If you’d prefer a different cheese blend, by all means, go for it! 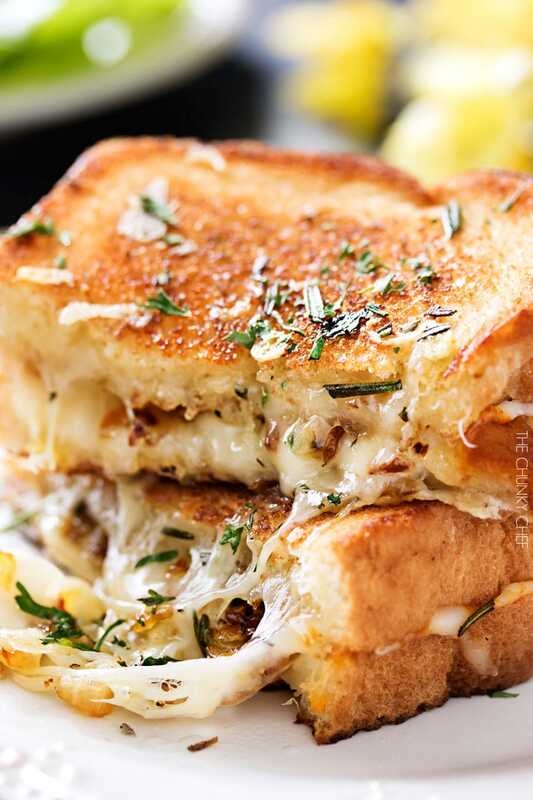 The hardest thing about this gourmet grilled cheese, is maybe fitting into your pants after you’re done… because you won’t be able to have just one sandwich! While I think a great sandwich is good all on it’s own… sometimes you just need something to dip it in. I highly recommend my Slow Cooker Creamy Tomato Basil Soup! If you really want to kick this gourmet grilled cheese up a notch or two… add some prosciutto slices or crispy bacon. Talk about pure heaven!! I hope you all try this ultimate gourmet grilled cheese, I know you’ll just love it! Add 1 1/2 Tbsp butter and olive oil to a skillet and heat over MED-LOW heat. Add diced onions, salt, pepper, fresh thyme and 1 tsp of fresh rosemary to the hot skillet and saute, stirring often, until onions are soft and starting to brown, about 10 minutes. Stir brown sugar into the onions and cook another minute. Transfer onions to a plate. Spread one side of two pieces of bread with a little bit of mayonnaise. To the same skillet, add remaining butter and rosemary, and heat over MED heat. Swirl to coat the bottom of the skillet with the melted butter. Add both pieces of bread, mayonnaise side down, and cook until bread is golden brown and crunchy, about 2-3 minutes. 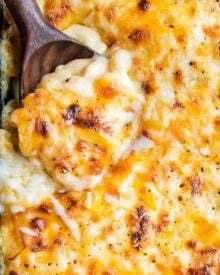 As soon as you add the bread to the skillet, add a bit of cheese to the top of each piece of bread. 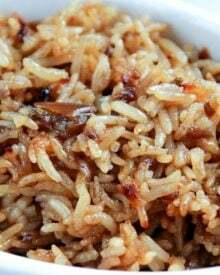 Once it starts to melt a little, sprinkle a couple tablespoons of the caramelized onions over the top of one of the pieces of bread. When the bread is good and golden brown, sandwich the pieces of bread together and cook on LOW until cheese is fully melted. Transfer to a plate, repeat with remaining slices of bread and ingredients. 1. If you're having trouble getting your cheese to melt, add all the cheese to a food processor and pulse until they form a paste. Use as directed. 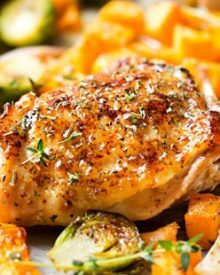 Super easy to prepare and fix (for those that hate to cook). Omgosh-amazing-taste. You will not be disappointed. My husband loves to cook (I do not) and he said that this grilled cheese is in his top 10. This recipe looks really good. It’s cold in Seattle right now, so a perfect time for grilled cheese sandwiches. I have a suggestion for a fabulous cheese to use, but you can only find it on the East Coast. It’s a Gruyere called Challerhocker. Not cheap, but really a really good nutty flavor and it melts so nicely. It was rated 2018 Cheese Champ at DiBruno Brothers in Philadelphia. So delicious! My husband and teenage boys asked for seconds! This recipe is going in my permanent recipe notebook. Fabulous! Thank you. I’ve never liked at-home Grilled Cheese. The mayo on the pan, slow melt did it! 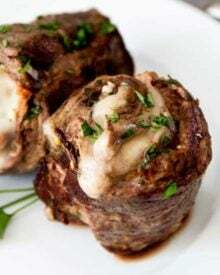 Made these the other night for my adult kids along with Ina Garten’s tomato soup. Soup was ok. Grilled cheese was the bombb!!!! Used sour dough bread. We can’t eat a grilled cheese any other way, ever again! Used fresh rosemary, no thyme. Making them again tonight with leftover soup! I will try your tomato soup next time! Thanks for sharing!!!! The onions were genius. The next time I try this I might have to add some bacon. Very good! I love this grilled cheese sandwich! Great idea to have caramelized onions in the recipe. Thanks for sharing! Amanda….this sandwhich was simply amazing!! I made it for my boyfriend last night. He and I were both VERY impressed!! Keep up the delicious work babe!! This is a great recipe. The whole family loved it. It’s making my 7-year-old reconsidering his distaste for onions (he didn’t believe me. I had to open his and show him). I even took a leftover half to work for lunch the next day. I microwaved it, it was chewy, and yet… somehow still delicious. I just wanted to thank you for sharing. It’s the best grilled cheese I’ve ever eaten, and I made it myself! Definitely going in the recipe journal. Hi, this is Emalee-Makenzy Pressley or Emmy. Can I use cheddar cheese? My kids Olivia and Oliver prefer that cheese. I also love this recipe because when Ollie goes to dance, I can make this and she eats in in the car. I used to put leftovers in the microwave or buy fast food. We fell in love with this recipe. Please reply. This recipe is just….. YUM!! I made this tonight and it was REALLY good! I left out the onions though (even though I love onions). I used a garlic loaf artisan bread and it worked perfectly. I didn’t have any rosemary on hand but I think that would have definitely been a nice touch. 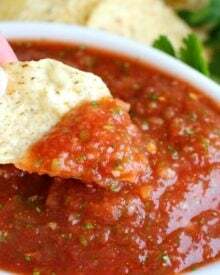 I paired with your slow cooker creamy tomato soup. My husband and I both loved it! Hi there 🙂 Less than half of 1 percent of the web traffic that comes to this blog is from a Spanish speaking person, and unfortunately, I can’t write this to appease every single person that comes to my site. I write for the majority. Google translate is a wonderful free feature, where you can copy and paste and it will translate it for you. Spot on! I substituted the cheese suggested, since, limited cheese type available in my area and uh-la-la.. look exactly the same in the picture and taste P.E.R.F.E.C.T . Absolutely lovin it in every bite and crust. Thank you for sharing… No more searching for grill cheese outside. Pullstop. Hi Chyrina 🙂 I’m so happy to hear that you loved the grilled cheese!! Holy moly. Looks and sounds so delicious! I am jealous! 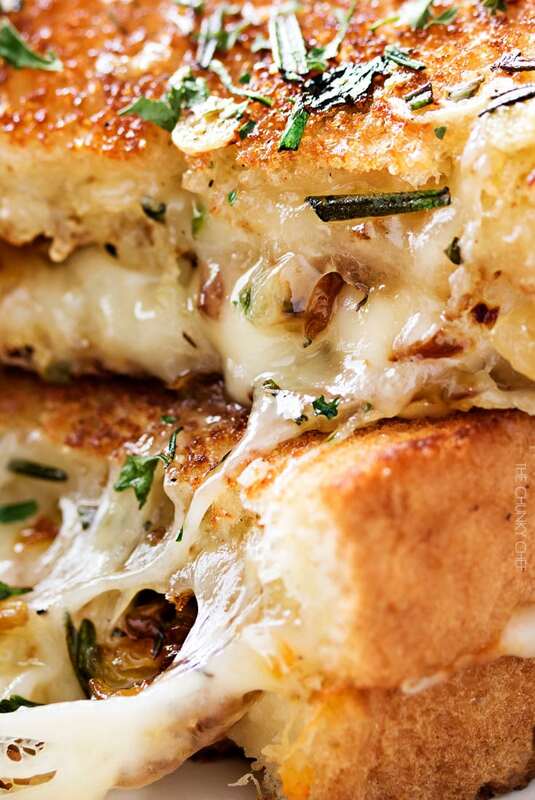 This sounds like a great sandwich… rosemary and Gruyere sounds amazing! It’s one of my favorite cheeses too, there’s a local spot that makes a burger stuffed with it and it’s awesome. Tried these awesome Gourmet Grilled Cheese Sammies tonight with a side of your yumm-O tomato basil soup! 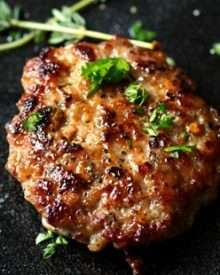 So simple, but my husband loved them (yes, he had two) and our friends raved over them! Thank you so much for your inspiration! Next weekend, I’m going to try the bourbon glazed wings. I don’t normally keep buttermilk in the house, but it’s on my shopping list for this week. My kids love pretty much anything, so I figure this one’s going to be a keeper too! Thanks Amanda, for all of your wonderful recipes! 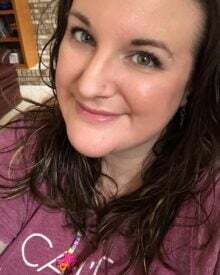 Hi Colleen! I’m SO happy to hear that you all loved the grilled cheese and tomato basil soup 😀 I also really hope you love the wings! I know what is for lunch this weekend! Yum!!! That gooey cheese and caramelized onion…a match made in heaven! Whoa — just look at all of that cheese! My husband is a grilled cheese junkie, and he would love this! Oh my goodness! This is probably the best looking grilled cheese sandwich I’ve ever seen! You’re honestly killing me with your gorgeous photos! That cheese ?? You have mastered the gooey cheesy photos! 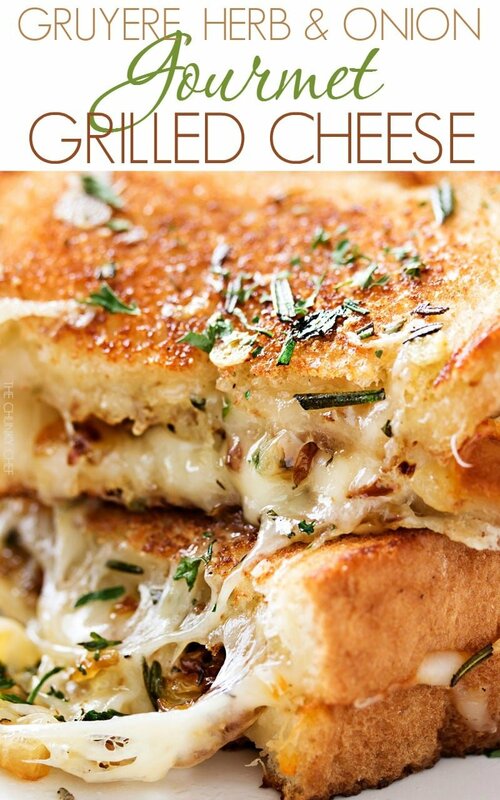 This is basically the most perfect grilled cheese ever!! Nothing better than a gourmet grilled cheese! Rosemary butter!? Are you kidding me?! This sounds absolutely amazing!! 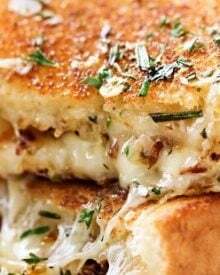 Rosemary, caramelized onions and cheese? I’m in! What a ridiculously delicious flavor combo! I would say that’s a gourmet sammie! My pants got tired just reading it!